Looking for a wonderful new home? A home where everyone will want to hang out? 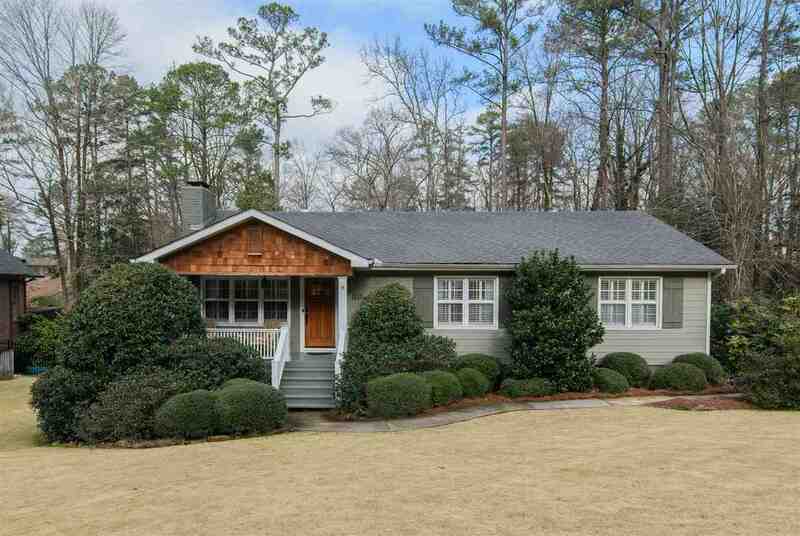 Don't miss this 3 bedroom 3 bath in the popular Lakewood area of Homewood. One of the greatest features of this home is the large screened deck overlooking the beautiful saltwater pool. The perfect spot to hang out year-round. And, coupled with the patio underneath, boasts many memorable gatherings with friends and family. You will love the updated master bath, with large walk-in shower and double sinks. The hardwoods throughout the home are gleaming and you won't find carpet anywhere. The garage is an amenity that you don't find in many Homewood homesâ¦.a 2 car garage with additional workshop space. It's very nice. The basement has the third bedroom and bath, a second den, office and beautifully stained concrete floors. And, check out all the storage. The yard is immaculate with lots of mature plantings and easy to care for. So, conveniently located and quiet. Set up your showing today!! Driving Directions: From Columbiana Rd, Turn Left Onto W Lakeshore Dr. Turn Right Onto Murray Hill. Go To Top Of Hill And Turn Left Onto Lake Ridge Rd. House Will Be On Your Left.